Welcome to the Compass Training Center! 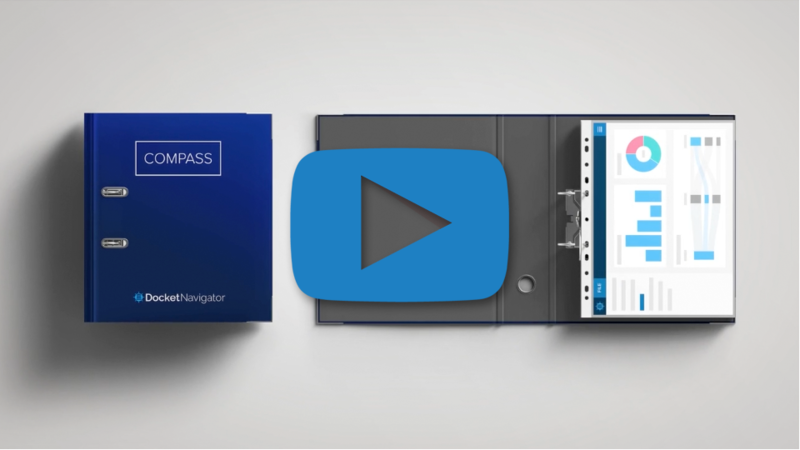 Whether you’re already a power-user of Compass, or a novice, the videos below are designed to help you learn Compass as quickly as possible. Some of the videos provide general overviews of the Compass landscape, while others outline an intricate pathway to perform our most advanced searching techniques. If you’re new to Compass, a great place to start is “Binders 101”. The collection below will grow over time, so be sure to check back often for new additions. If you prefer help from a human, please use the contact form at the bottom of the page. We’re always excited to hear your feedback and are eager to help you use this amazing new platform! A great place to start training! 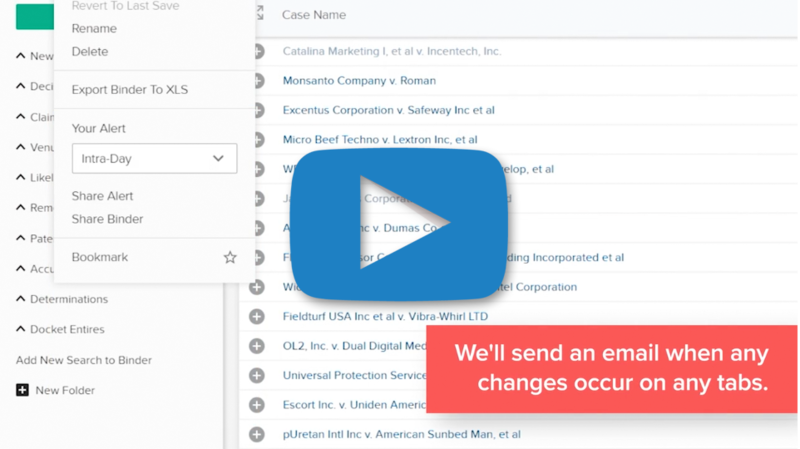 Learn how the Compass binder system will help you work smarter and faster by bundling searches and analytics. 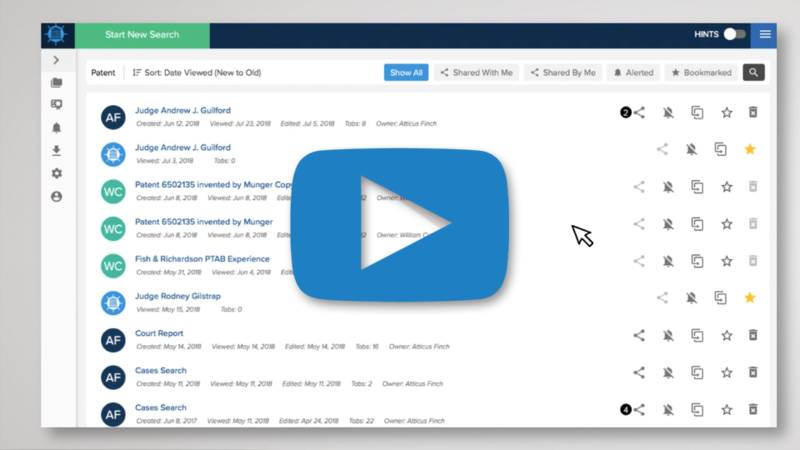 Learn how to quickly share your Compass research with your team. Learn how to create and manage alerts, how to bundle multiple alerts into a single email, and how to share alerts with other people. Learn how to export the tabs of most binders in Compass in a single file. 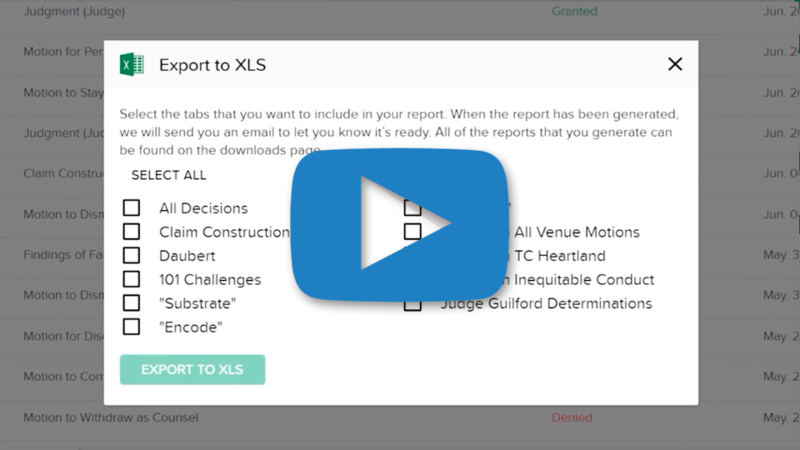 Learn how to access the Binder Wall to view, update, and manage your Compass binders. 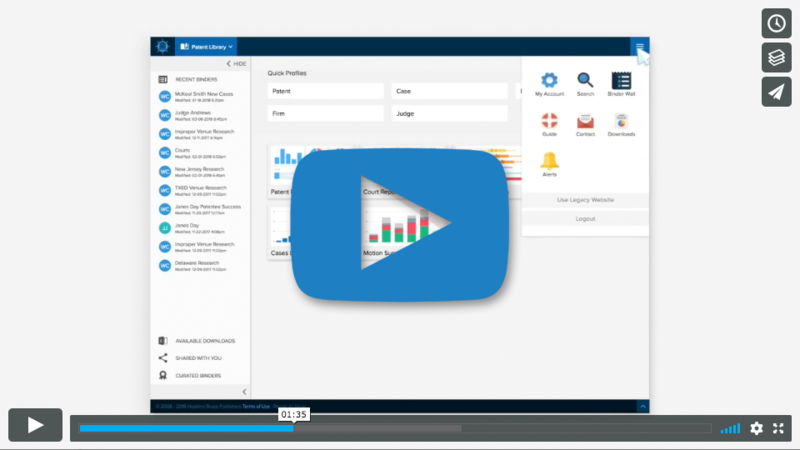 Watch this for an introduction to compass and a behind the scenes look at what makes Docket Navigator data so valuable. 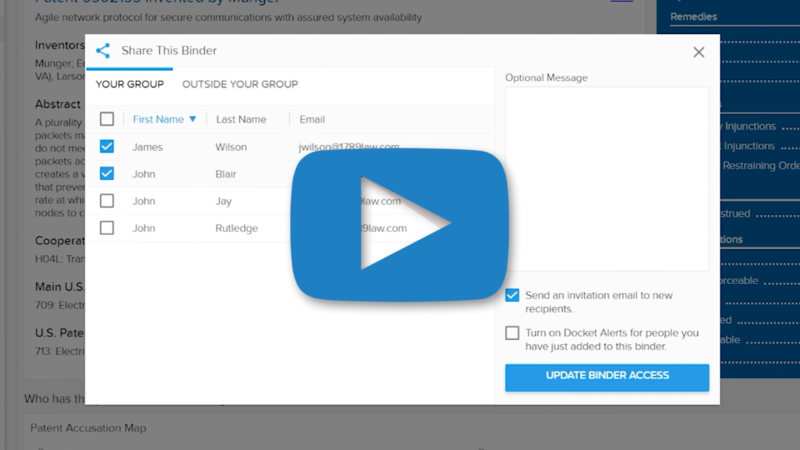 Learn how to manage alerts for yourself or your group on the Alerts page. 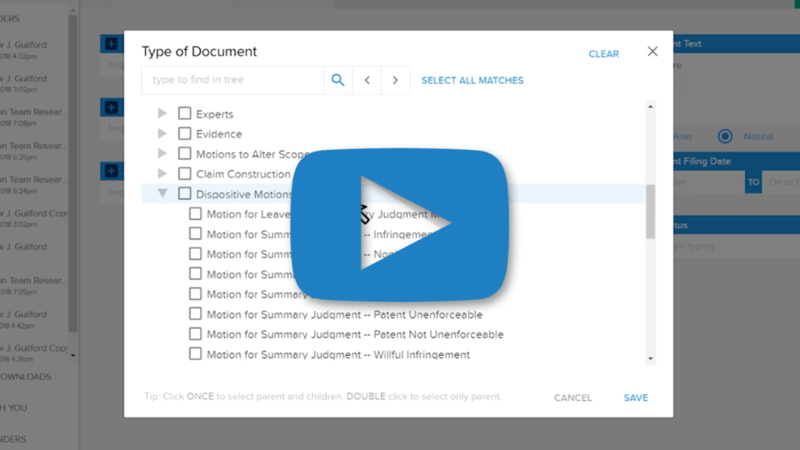 Learn how to find court orders on specific types of motions. 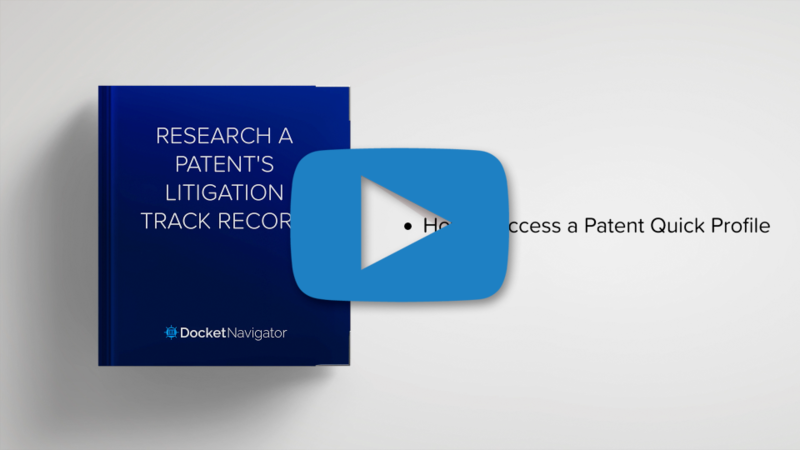 Learn how to access the complete litigation history of a patent with just a few clicks. Learn how to investigate a judge’s decision history on specific types of motions and legal concepts to identify the strategies and arguments that have proven most successful.